The problem with phthalates is that they leach out of plastics into food, water, and the environment, and there is mounting evidence suggesting that phthalate exposure can lead to a variety of health problems. Braslau's team has been working to develop "nonmigratory" plasticizers that attach to the PVC polymer via a chemical bond and can't leach out of the plastic. She explained that traditionally, phthalates are mixed with fine-ground PVC and “melted together” rather than being bonded. 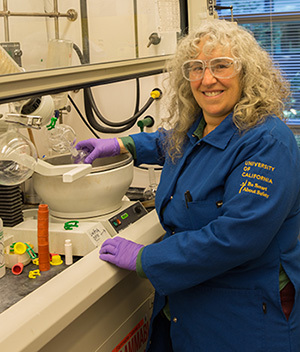 Her lab has produced several viable nonmigratory plasticizers, including two dubbed the “frog” and the “tadpole” because of their chemical structures. 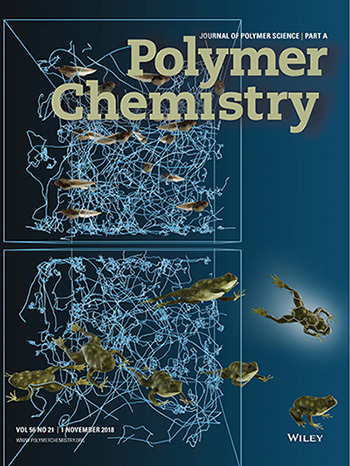 The "tadpole" is particularly promising, Braslau said, because it is much easier to produce than the "frog" and is the most effective of the plasticizing strategies examined. "Fewer steps and fewer chemicals are involved in its synthesis. Importantly, it should be scalable for industrial use,” she said. “They are everywhere we touch,” Braslau said. In addition to Braslau, the authors of the paper include first author Chad Higa, who earned his Ph.D. at UC Santa Cruz in 2018 and is now a postdoctoral researcher at the University of Hawaii; and Andy Tek and Rudy Wojtecki, both at the IBM Almaden Research Center in San Jose. This work was funded by the National Science Foundation.